We think this is going to be the next big thing. Desktop video…which we think is going to be as big as desktop publishing was. The problem is that “the next big thing” had already arrived: four months earlier Shawn Fanning and Sean Parker had released an app called Napster; I can personally attest that, by the time Jobs introduced the iMac, the music-sharing app had swept over university networks in particular. One month later, Toshiba showed Jon Rubinstein their new 1.8″ hard drive that they didn’t know what to do with; eight months later Jobs was back on stage introducing the iPod. Two years after that Apple brought iTunes to Windows, unshackling the iPod from the presumption it existed to sell Macs, and completing the foundation for the greatest corporate run of success ever. One of my favorite artifacts from the brief period between the introduction of iTunes and the release of the iPod was Apple’s “Rip. Mix. Burn.” advertising campaign. What is particularly amazing (that is, beyond the cringe-inducing television ad) is that Apple was arguably encouraging illegal behavior: it was likely legal to rip and probably legal to burn, presuming the CD that you made was for your own personal use. It certainly was not legal to share. And yet, as much as “Rip. Mix. Burn.” may have walked the line of legality, the reality of iTunes — and the iPod that followed — was well on the other side of that line. Apple knew better than anyone that the iPod’s tagline — 1,000 songs in your pocket — was predicated on users having 1,000 digital songs, not via the laborious procedure of ripping legally purchased CDs, but rather via Napster and its progeny.1 By the spring of 2003 Apple had introduced the iTunes Music Store, a seamless and legal way to download DRM-protected digital music,2 but particularly in those early days the value of the iTunes Music Store to Apple was not so much that it was a selling point to consumers, but rather a means by which Apple could play dumb about how it was that its burgeoning number of iPod customers came to fill up their music libraries. To be clear, I’m not very bent out of shape about this; the reality is that piracy was happening before Apple woke up to the music revolution, and would have continued whether the iPod came along or not.3 In fact, by offering a legal alternative that not only matched but exceeded the convenience of piracy, Apple pointed the way to a surprisingly bright future for the music labels. What is worth noting, though, is that Apple’s breakthrough product — the one that started Apple down the road to the iPhone, iPad, App Store, everything that contributed to yesterday’s financial results — was not simply a product of Steve Jobs vision, or Rubinstein or Tony Fadell or Jony Ive or any of the other folks at Apple. The iPod was very much a product of the company that created it and the world in which it came to be: somewhat lawless, with nothing to lose. Given the context of the iPod’s introduction, there has been, if you squint, a certain symmetry in the circumstances surrounding its death. The iPods Shuffle and Nano, the last two iTunes-dependent (i.e. non-iOS) MP3 players Apple sold, were quietly discontinued last Tuesday. The revelation two days later that Apple was, at the behest of the Chinese government, removing VPN apps from the App Store in China, drew considerably more interest. These two stories are related by more than their timing. The iPod was obsoleted by the iPhone, reduced to just an app on a general purpose device, while the very concept of individual songs synced over a wire is a relic in a world where over 30 million songs can be streamed at any time (“Mix” is the one word that has endured from Apple’s old slogan). Apple’s preference, of course, is that you stream via Apple Music, one of the key parts of Apple’s Services businesses; the “Services” line on Apple’s income statement is now the second-largest (after the iPhone), and has loomed largest in Apple’s quarterly presentation to analysts for the last year-and-a-half. The pitch is a valid one: while iPhone customers mostly stick to the platform, and Apple attracts switchers, the upgrade cycles are elongating and the low-hanging fruits of country and carrier expansion are in the past. What is and will continue to be the case are that phones are the most important devices in people’s lives, which means the monetization of that importance — via the App Store, Apple Music, and iCloud Storage — is a business that is pure upside. Pure upside, that is, from a dollars-and-cents perspective. The broader implications are a little more complex. Apple’s traditional model — selling hardware differentiated by software at a premium — had an elegant simplicity that went beyond the impact on the company’s income statement. Just look at the iPod: as much as the music industry may have whined about Apple earning profits they insisted were theirs, there was nothing record labels could actually do about it. iPods were transactional products that could be filled with legal music, pirated music, podcasts, music of one’s own creation — it didn’t matter to anyone but the iPod’s owner. Apple sold a product that benefited from openness into a relatively lawless market and reaped the rewards. The truth is that China is not and will not be a meaningful market for nearly every Western consumer-focused tech company. The Great Firewall makes all service-based companies unviable, including Facebook, Twitter and of course Google, while widespread piracy makes pure software plays (i.e. Windows and Office) widely available even as they drive negligible revenue. The exception is Apple: because the company monetizes through hardware and differentiates through exclusive software, its products physically exist inside the Great Firewall even as they avoid the piracy trap. It’s a big advantage relative to other U.S. based companies. Later that year Apple would release the iPhone 6 and reap the rewards of that advantage: Greater China quickly became Apple’s second-largest market, buying an incredible $59 billion worth of Apple products in the company’s 2015 fiscal year.4 Naturally, despite the fact Apple’s China sales have faltered with the iPhone’s increasingly stale design, services revenue has only grown; according to App Annie, App Store revenue in China surpassed App Store revenue in the United States last fall, making China the most important market for Apple’s fastest growing segment. Small wonder, then, that Apple has deemed it prudent to stay in the government’s good graces. Tim Cook argued on Apple’s earnings call — correctly and fairly, to be sure — that in the case of removing VPN apps the company is simply following the law; of course there is no law that says Apple, contrary to the company’s behavior in other countries or markets, ought to invest $1 billion in a Chinese company (then) competing with a Western challenger, or open R&D facilities worth $500 million when the company has been reticent for years to let technology-focused employees work in San Francisco, much less across the Pacific (although the law certainly figured in opening a new data center in China). The reality is that Apple’s elegant transaction-based business model, centered on selling software-differentiated hardware, died along with the iPod. One could certainly argue that Apple’s services don’t differentiate their hardware, at least not in a positive direction, but it is impossible to deny that said services play an ever more important role in monetizing said hardware, above-and-beyond increasingly infrequent (on an individual basis) up-front purchases. And while that is great for Apple’s continued growth, it is a limit on Apple’s freedom to maneuver — and now, for the company’s Chinese customers, a limit on their freedom to circumvent China’s Great Firewall. None of this is a criticism of Apple; if anything the company deserves praise for developing a revenue stream that is growing even as iPhone sales growth has slowed (or in last year’s case, declined). What it is, though, is an example of how success carries its own curse: Apple today has far more to lose than it did two decades ago, and that means less of a focus on doing what is best for non-Apple stakeholders, not more. Apple’s services revenue is largely built on the App Store, particularly in-app purchases in free-to-play games. That means the company has no incentive to lower its 30% take, or offer side-loading (which would, as John Gruber astutely noted, make it far more difficult for the Chinese government to enforce its VPN app ban). As for the HomePod, Cook highlighted on the earnings call that it is “designed to work with your Apple Music subscription”; if you have a Spotify subscription and want voice control, you will have to get an Echo instead. Indeed, Apple’s attempt at services lock-in is steadily increasing: HomePod supports only Apple Music and Siri, CarPlay supports only Siri and Apple Maps, iOS still doesn’t let one change default applications. None of these decisions are based on delivering a superior experience, the key to Apple’s differentiation with a hardware-based business model; all are based on securing an ongoing relationship with the company that can be monetized over time. Again, this all makes sense, particularly for the bottom line: every bit of lock-in makes Apple’s business stronger. Stronger, that is like an oak tree. Let me be as explicit as I can be: Apple is not doomed. Indeed, the company’s future is bright, particularly in the short term; I expect the next iPhone, particularly the rumored high-end model, to be a big hit in China in particular (close readers will note that that was one of the counterintuitive conclusions in my piece originally pointing out Apple’s China Problem). Indeed, what has always made the “Apple is doomed” argument so dumb is that it has always implied that Apple was some sort of special snowflake, incapable of leveraging its massive user base or demonstrated ability to iterate on its industry-leading products. As if the company would somehow forget how to make a phone,6 or that developers would give up on a user base in the hundreds of millions, or that users would suddenly not care about nice things. All nonsense. That, though, is my point: Apple has had a special run, thanks to its special ability to start with the user experience and build from there. It is why the company is dominant and will continue to be so for many years. Apple as an entity, though, is not special when it comes to the burden of success: there will be no going back to “Rip. Mix. Burn.” or its modern equivalent. In short, Apple is no longer the little reed they were when Jobs could completely change the company’s strategy in mere months; the push towards ever more lock-in, ever more centralization, ever more ongoing monetization of its users — even at the cost of the user experience, if need be — will be impossible to stop, for Tim Cook or anyone else. After all, such moves make Apple strong, until of course they don’t. 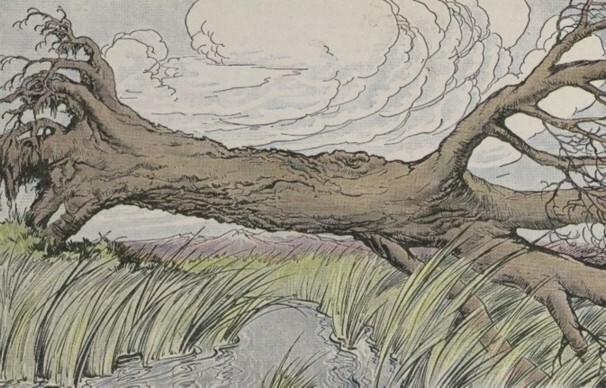 Such is life, and time, inexorably flowing past oak trees standing and fallen alike.